Angeltini - The Booze Blog: Insta Weekly: Homemade cocktails - Launch of Hana @ Sunway Pyramid - 0% ABV beer - Gin Madness. 1. 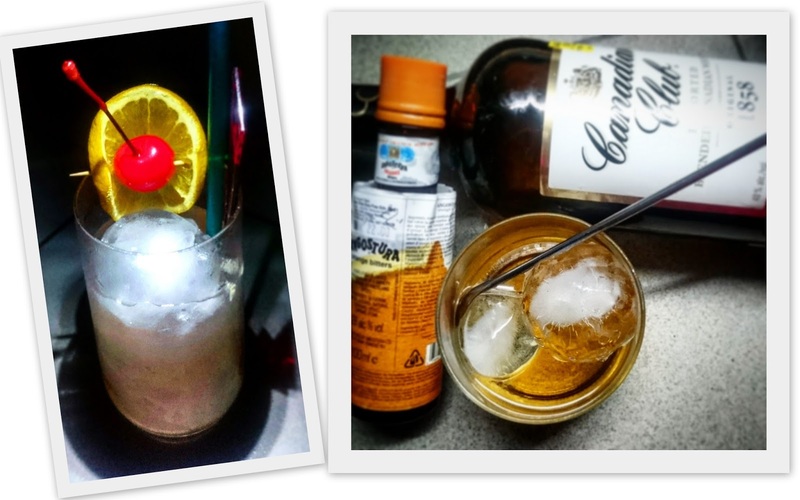 Homemade cocktails of the week - Rum Punch & Canadian Club Old Fashioned. Growing up, I'm sure you've heard and drank all sorts of "punch"es - it's basically a beverage (could be alcoholic or not) made with fruits or juice. I remember growing up seeing my mum serving her party punch mix in that big glass punch bowl which I only get to see at big parties - it's usually made of sweet liquid and lots of canned fruits. Evidently, cocktail punches are also considered a classic and something of a must-know should you wish to impress friends at parties. So for a start, I tried making a Rum Punch, following a recipe from my go-to drinks encyclopedia. It's very simple - just rum, bitters, lime juice, syrup. How hard is it to mess up, right? On the right is my attempt to make a canadian club Old Fashioned with orange bitters to see the difference vs a fresh orange peel. To be honest, it can work. I mean, otherwise how do those guys in Mad Men always get an old fashioned at anytime of the day (Yes I realise it's just tv) without a fresh orange at hand right? But if I had a choice, an orange peel will always be my go-to. Nothing really beats the fragrance of a freshly squeezed orange peel. And yes, I have finally watched some Mad Men (last month). Yes I do know how much Canadian Club was featured like mad on that series but I already like it even before I watched the show! Canadian Club does make a really decent Old Fashioned (but you must cut down on the sugar by a lot!). Sweet & smooth, it even drinks well on its own. With that insane price at duty free, why don't you already have one in your liquour cabinet? 2. Launch of Hana Dining & Sake Bar @ Sunway Pyramid. Bad News: Brussels at Sunway Pyramid is no more. Good News: The lot is now taken over by this very popular Taiwanese restaurant/bar which specializes in Japanese fusion food. In Taiwan, it goes by a different name of 花酒藏 A-Plus 日式和風創意料理 (totally copied and pasted that). 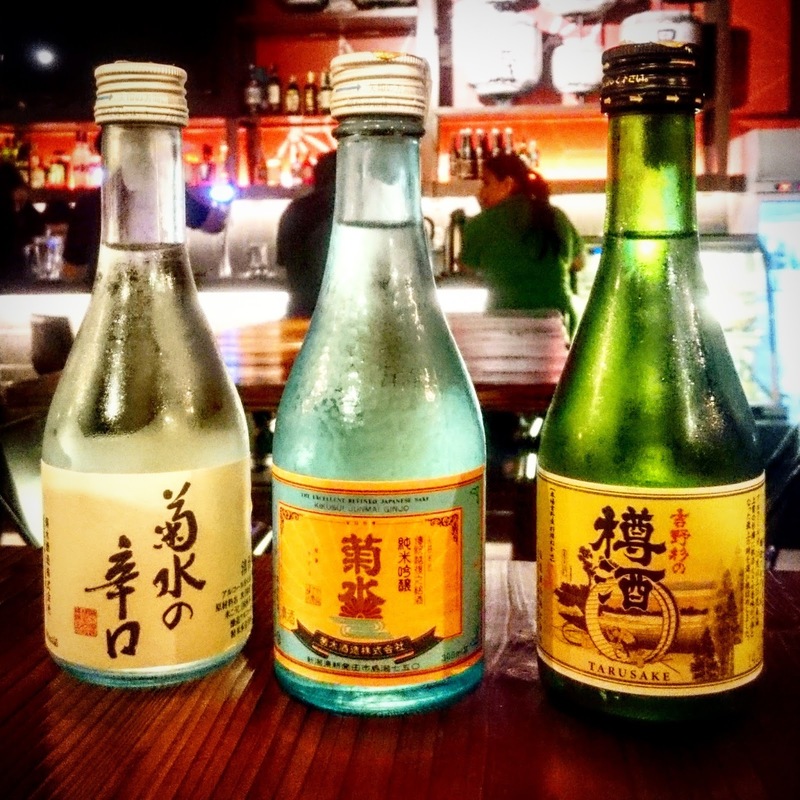 With 130 types of sakes, it's one of the biggest sake bars in Taiwan. As usual, I will dedicate a full blog post about this soon enough. But meanwhile, I must tell you that the food's quite affordable and at very decent portions if you go for the group set menu (for 4 pax , 6 pax...) and they currently serve, wine, Carlsberg's slew of beer offerings and have about 30 odd sakes at the brand new Sunway outlet... which they promise they will expand once they find their feet. When I first came across these, I was outraged! WHAT IS THE POINT RIGHT? But a good friend who is quite familiar with the Japanese culture schooled me about it and I kind of understand its purpose in the world. Apparently, the Japanese, being the over-accommodating and polite race that they are, will never let you drink alone at a social gathering - especially at business meetings. So as not to make the guest(s) feel awkward drinking alone, the host would accompany the imibibing guest with a can of fake beer. This way, they are "seen" drinking & giving face, while not having to get home drunk and hungover next day for work. Totally made sense to me. Upon further online reading, it's also meant to target people who want to enjoy malt drinks without the alcohol. Perhaps something akin to our local Nutrimalt I suppose? For shits and giggles, I got the Sapporo and Asahi to try. Truth be told, the Sapporo wasn't too bad. It was like, flat beer, just lacking that kick, but very palatable. I'm guessing Asahi should be about the same (shall update this bit once I try it). But at close to RM9? 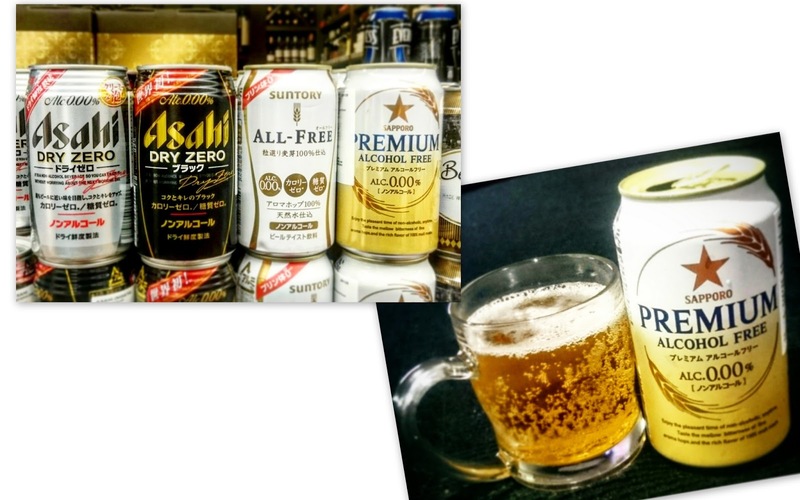 If I have to accompany you for drinks and I'm trying take it easy - give me a proper beer, whisky highball or a mizuwari any day. 4. More awesome gins to try! 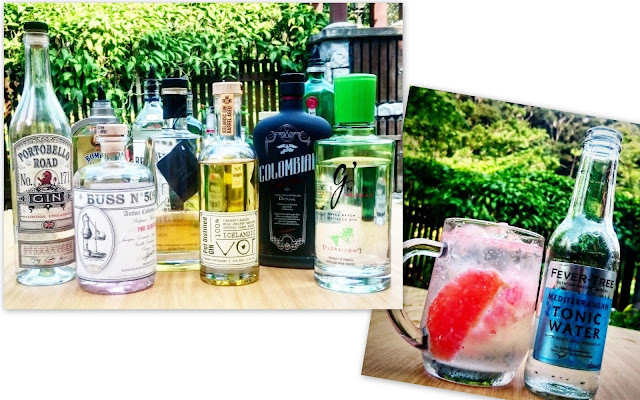 Some really special stuff we got to try last weekend: Portobello Road Gin, BUSS N°509 Pink Grapefruit, No Ordinary Gin - NOG!, Vor Icelandic gin, Dictador Premium Colombian Aged Gin - Treasure, G'Vine. Mentions: All of them were great. But - Portobello was so smooth, Buss had a lovely fragrant, delicious grapefruit notes and the Colombian has that unmistakable aged character you can't ignore. Jio me for gin binge and I'll be able to make cocktails for you too hehehehehe. 1.Do really good DSLR-quality pictures matter? Pics matter in blog posts firstly to grab attention and secondly to break up the monotony of too many words. About the same importance in my book. One can't talk about an awesome whisky without an accompanying pic. Depends on the subject matter at hand. If its interesting, I wanna know all about it so yeah. A DSLR makes the difference - however, that holds more ground 5 years ago. Today's compact and phone cameras and post editing apps are so advance that you can "imitate" a DSLR feature. Given that pictures are for the purpose of Internet usage, you don't even need high resolution pictures at all, a decent format (Medium/small setting in camera) will suffice for blogs. I used to blog. While content substance is important, it is always pictures that set the mood of the reader. It also allows a different perspective of understand to the reader based on just text. That is why you still have pictures in newspapers and magazines for article, even if its just the author's face or an interviewee. There is a trick to not put pictures, replace it with a quote that acts as a highlight. Some put statistics relating to topics as fun facts as well. long post are ok as long as it is not repetitive and is properly segmented (which you are doing with number points). pictures in between will really help. Also, you're a very good writer, hence you don't really need to have to your articles hide behind pretty pictures. That being said, good quality pics have their place.